Mr. Bobby C. Purdom, age 78, of Chapel Hill, Tennessee, died Monday, December 3, 2018. Mr. Purdom was born in Marshall County and was a son of the late Robert Wallace and Addie Florence Cathey Purdom. Bobby was a member of Smyrna Baptist Church in Chapel Hill where he had served as a former deacon and church treasurer. He was employed, for many years, with Genesco, Inc. of Chapel Hill. Bobby retired after 34 years of service with Lawrence Funeral Home and Lawrence Bros. Plumbing, Electric and HVAC where he served as the bookkeeper for both businesses as well as a funeral director for the funeral home. Until his sickness, Mr. Purdom was a very active member and past master of the Chapel Hill Masonic Lodge # 160. He was also a 32 degree Scottish Rite Mason, a member of Al Menah Shrine Temple of Nashville and was known as “Ribeye”, one of the clowns in their Clown unit. Mr. Purdom is survived by his wife of 57 years, Eveie Flippen Purdom, Chapel Hill, TN; children, Marty R. Purdom, Murfreesboro, TN, Kasey (Dwayne) Dowers, Chapel Hill, TN; sister, Edith “PeeWee” Woosley, Nashville, TN; brothers, Kenny Ervin Purdom, Nolensville, TN, Billy (Carol) Purdom, Chapel Hill, TN; grandchildren, Baylee Dowers, Daelyn Dowers, Isaiah Vang. Bobby was preceded in death by a sister, Becky Purdom Hunter. Family members will receive friends on Friday, December 7, 2018 from 4:00 until 8:00 pm at Lawrence Funeral Home. 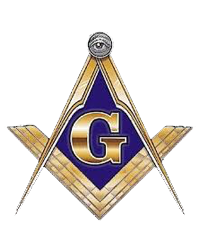 A masonic ceremony will be recited at 7:00 pm. Graveside services will be conducted at 11:00 am on Saturday, December 8, 2018 at Swanson Cemetery in Chapel Hill with Rev. Kevin Robinson and Bill Preston officiating. Burial will follow in Swanson Cemetery. Marty Purdom, Dwayne Dowers, Jerry Flippen, Trovon Baty, Tommy Howell and Rusty Purdom will serve as active pallbearers. Baylee Dowers, Daelyn Dowers and Isaiah Vang will serve as honorary pallbearers. In Lieu of Flowers, memorial donations may be made to Smyrna Baptist Church, P. O. Box 456, Chapel Hill, TN 37034, Shriners Hospital for Children, 2900 Rocky Port Dr., Tampa, FL 33607 (lovetotherescue.org), or a charity of your choice.